Art projects, exhibitions and studio news. 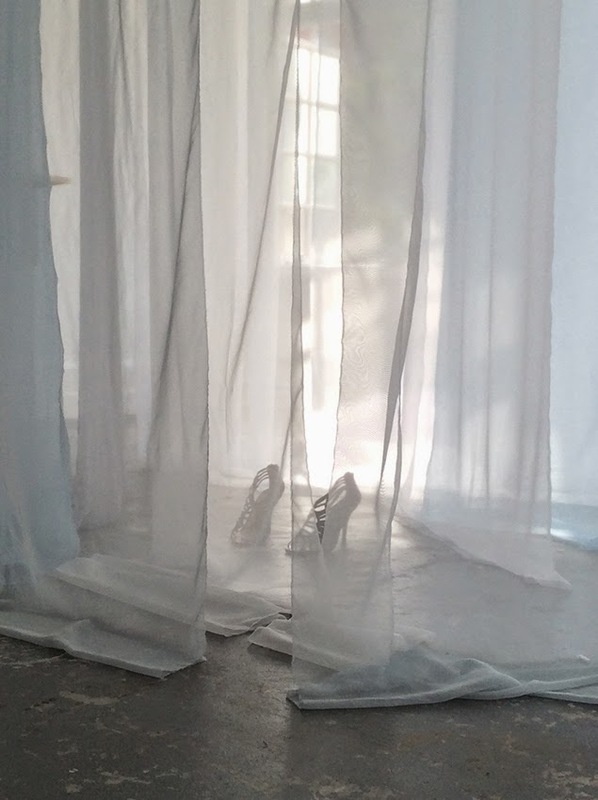 Suspended polyesters, organza silk, and silk fabrics with ladies leather shoes. 'Unpicking my practice continues, as my work is stretched, and the challenges advance at Chelsea.' AR Watch this space... undoubtedly, more to follow! Alex Roberts is a British artist, curator, and educator who lives and works between Berlin and the UK. She works with paint and translucence, addressing paintings’ surface and spatial depth. Testing the sliding scales of how we perceive identity, change, encounters, and human tangibility. She exhibits internationally. Awards: Oppenheim-John Downes Memorial Trust, The Eaton Fund, Arts Council England & British Council Grant - The Artists’ International Development Fund, HIX Award finalist, shortlisted - Red Mansion Art Prize & Contemporary Visions VI, Beers London. Curating/ facilitating visual art projects is a research method, an extension of her studio practice. This comprises her continuing cross-examination of ‘how painting and art embodies the viewer’. Roberts completed her MAFA at Chelsea College of Arts (UAL), following a BA (Hons) in Fine Art from The University of Reading. She works at Edge Arts, University of Bath as an Artist Tutor, plus Drawing Projects UK. Upcoming, new lecturer roles: The Drawing Week, Bath School of Art & Design, Bath Spa University and Bauhaus Summer School, Bauhaus-Universität Weimar.